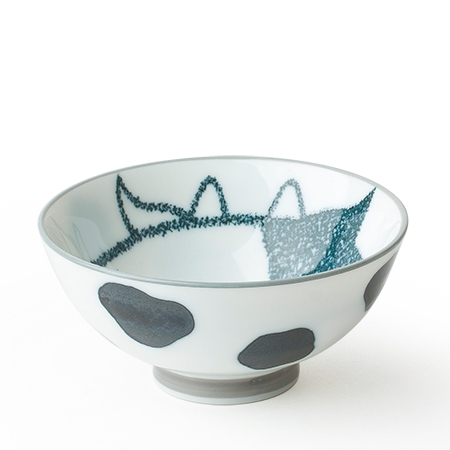 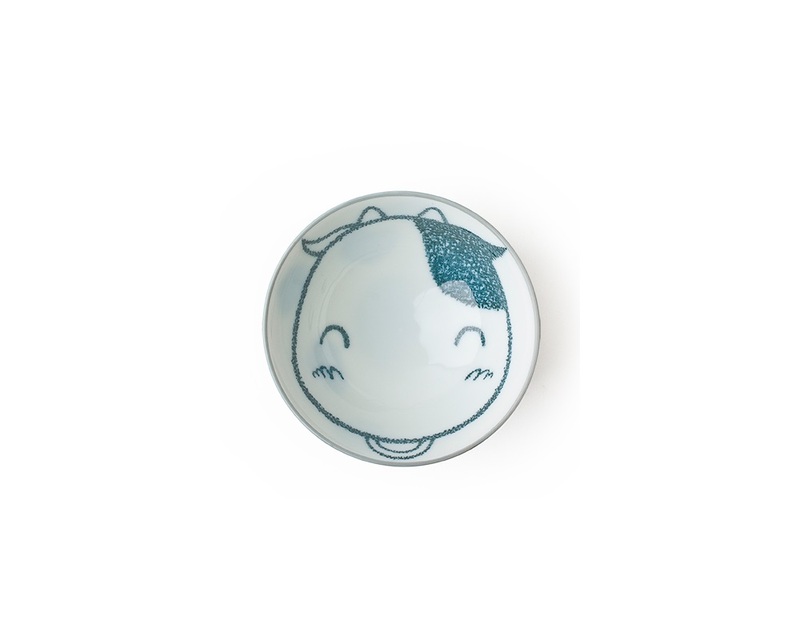 Super cute cow design ceramic rice bowl made in Japan and available at Miya. 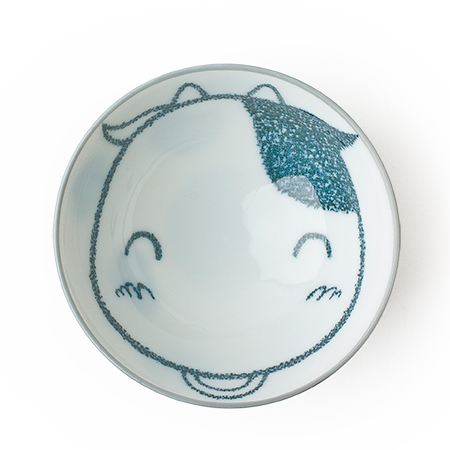 You can't help but smile back at this charming cutie cow who is waiting for you at the bottom of the bowl. 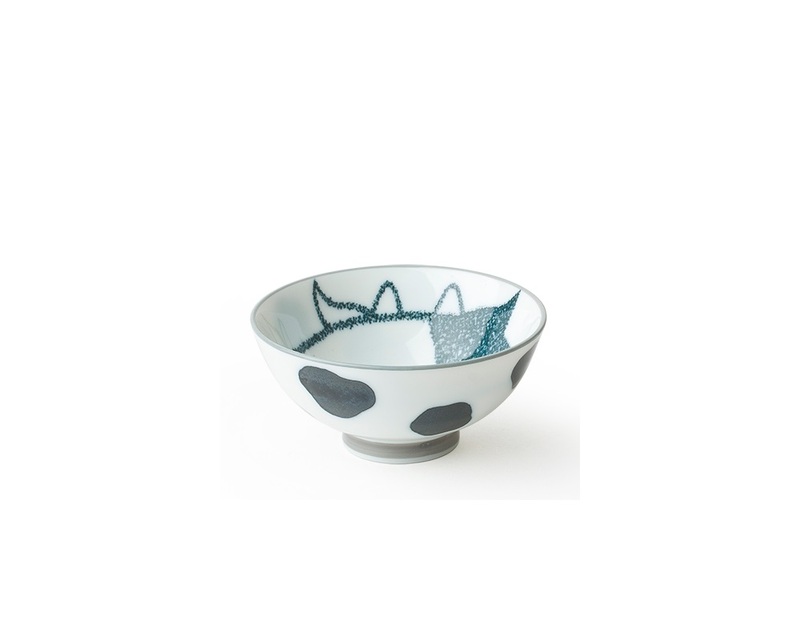 Traditionally sized as a rice bowl but it's perfect for ice cream, snacks, fruit or even pretty soap in the guest bath! 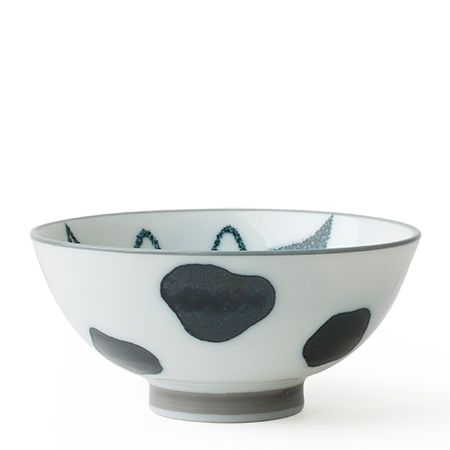 So kawaii with cow spots on the exterior. 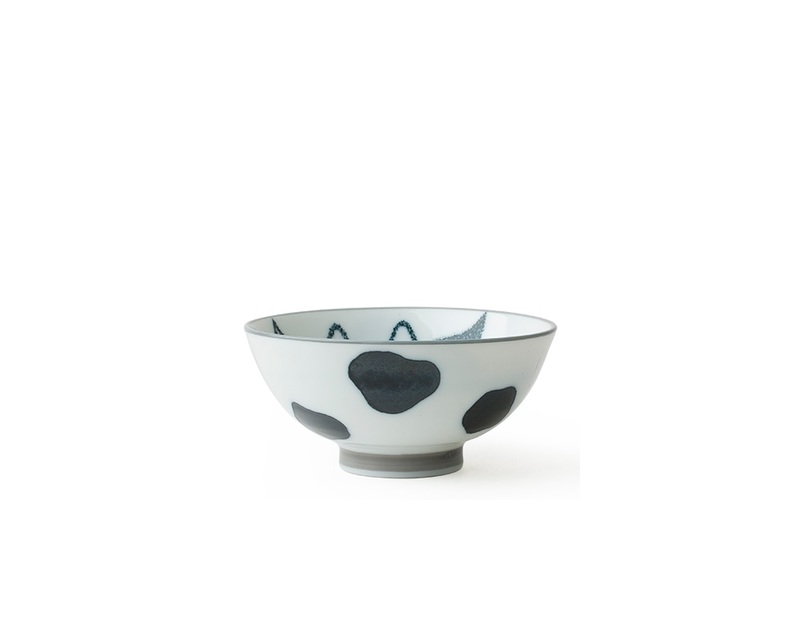 Mooooo!